A simple day-trip to Yellowstone provides an unforgettable experience. To celebrate the start of May, the Mrs. and I loaded up one for our Subaru Outbacks for our annual spring pilgrimage to Yellowstone National Park. Spring is mutually one of our favorite times of year in the Park, as the bison are calving, the wildlife ample and the crowds are few. Although the chance to see a bear is pretty low, the wolves are still around- and there is even the small chance of seeing pups around the den. This trip did not disappoint. With one of our new rental spotting scopes in tow, we were able to view the Slough Creek pack of wolves surrounding their den from an astonishing distance. Some of the other wolf-people mentioned there were pups- but we never saw them arise. 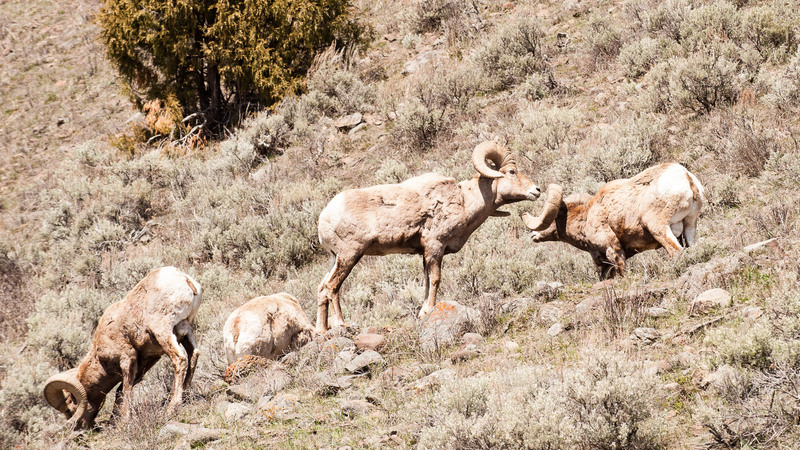 Not far from the confluence from Lamar River and Soda Butte Creek there was a group of rams right along side of the road. They paid us no heed, and continued to go about ram stuff; which was basically the small guy trying to pick a fight with the big guys. Although I did not catch it on camera, we did witness them butting horns a couple of times. 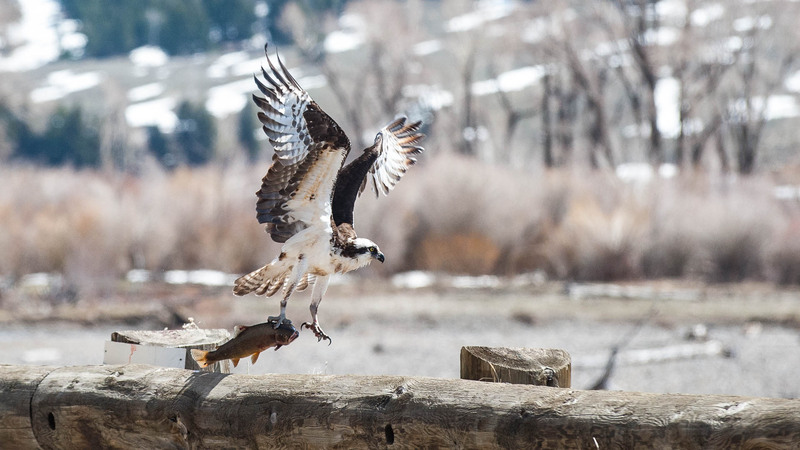 Conclusively, early May is a great time to visit Yellowstone. We maybe say two-dozen other folks between Mammoth and Cook City; maybe 1/1000 of what one would see in July. The wildlife was within an enjoyable distance, and the silence was spectacular.